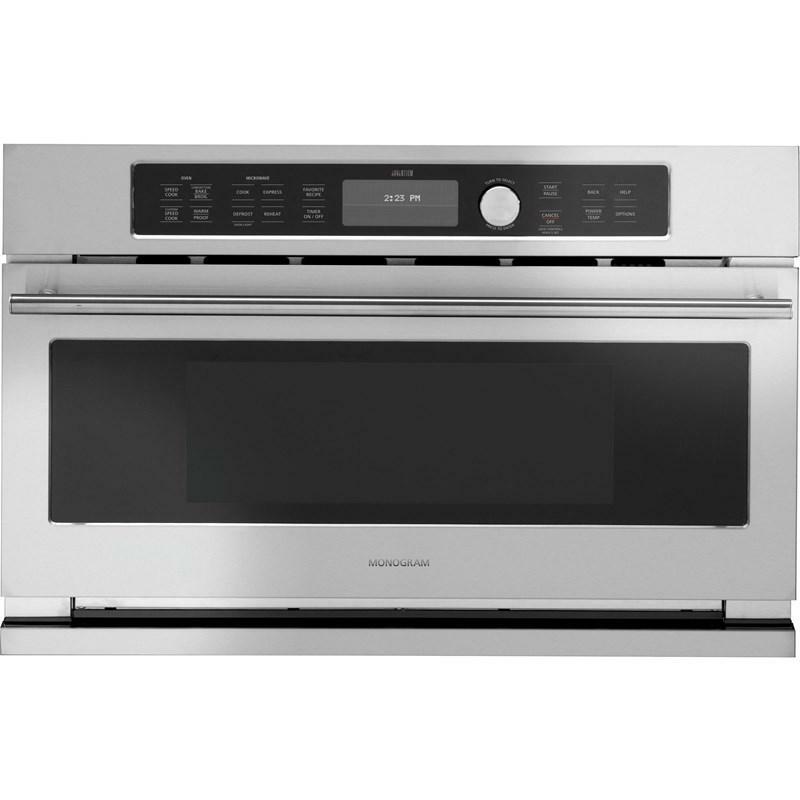 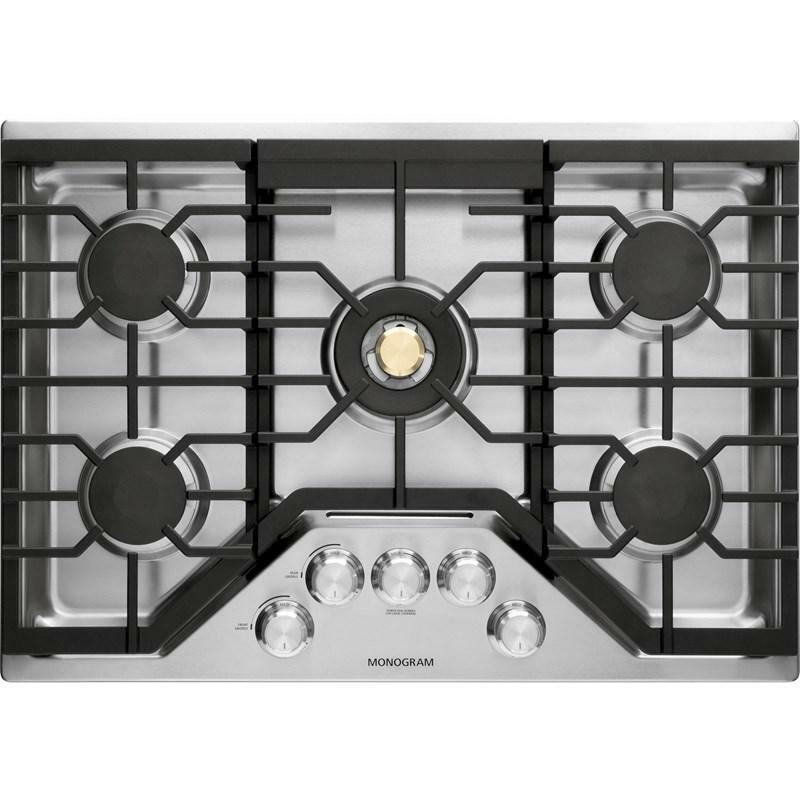 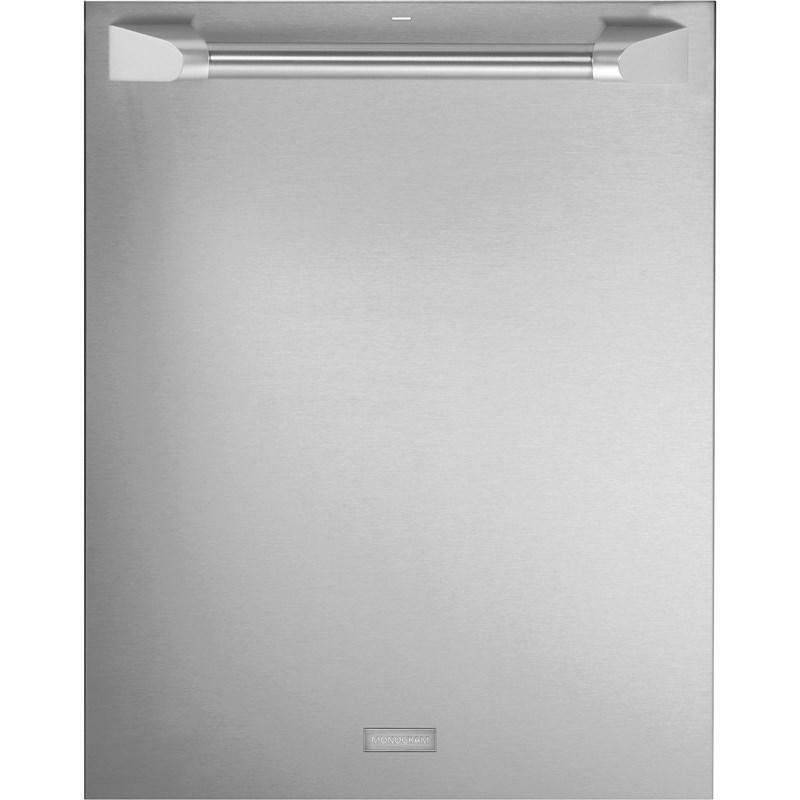 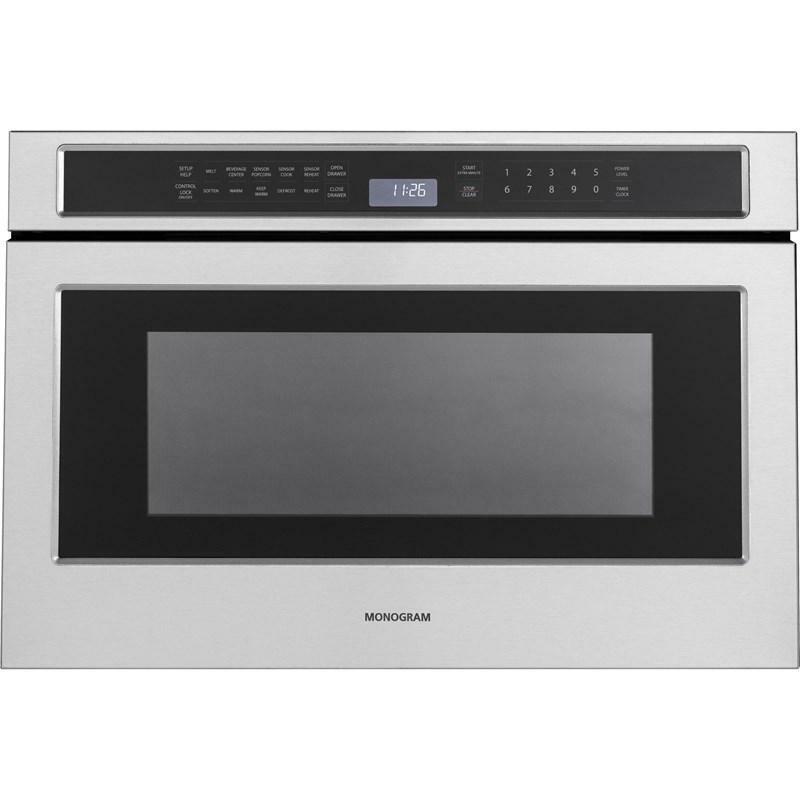 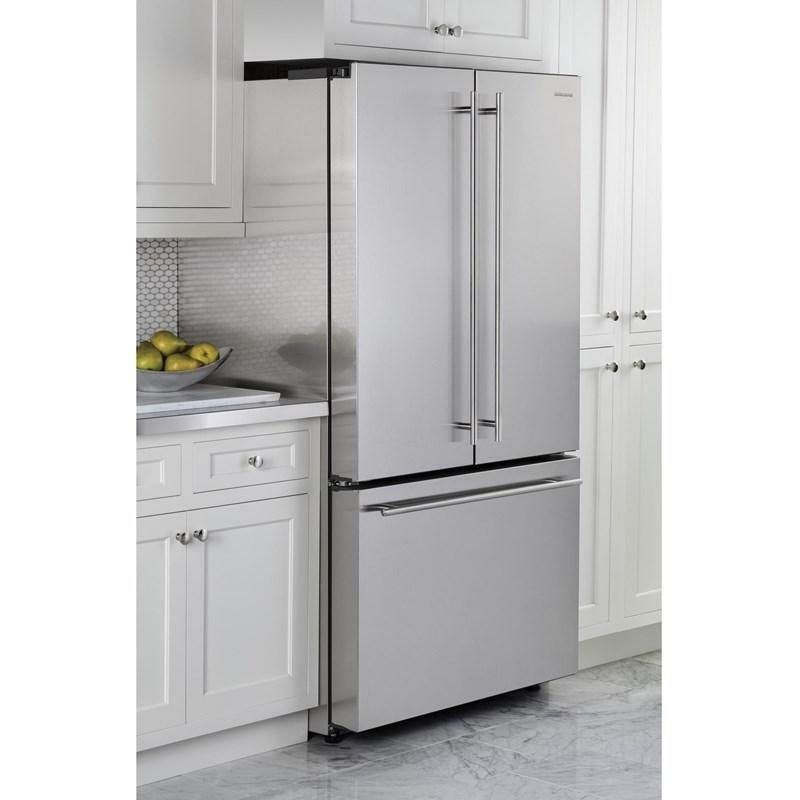 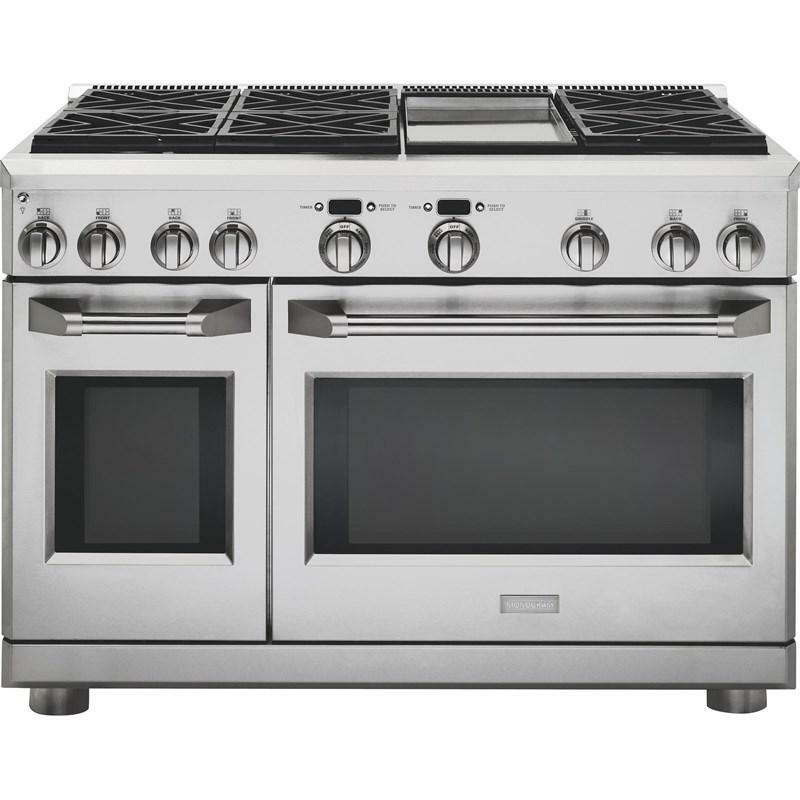 GE Monogram® Energy Star® 23.1 cu.ft. 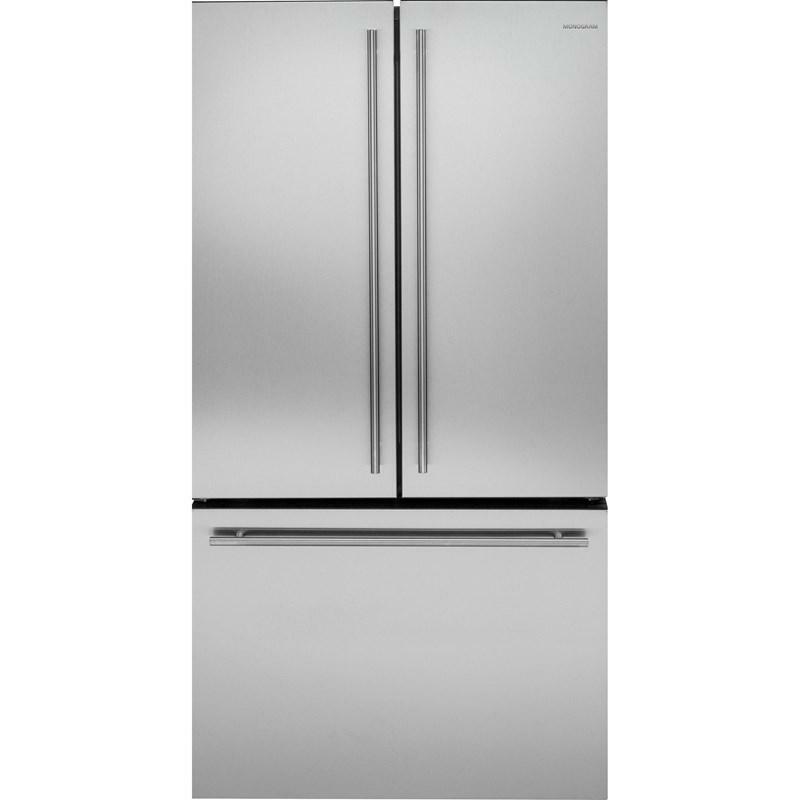 capacity counter depth French door refrigerator with factory installed ice maker. 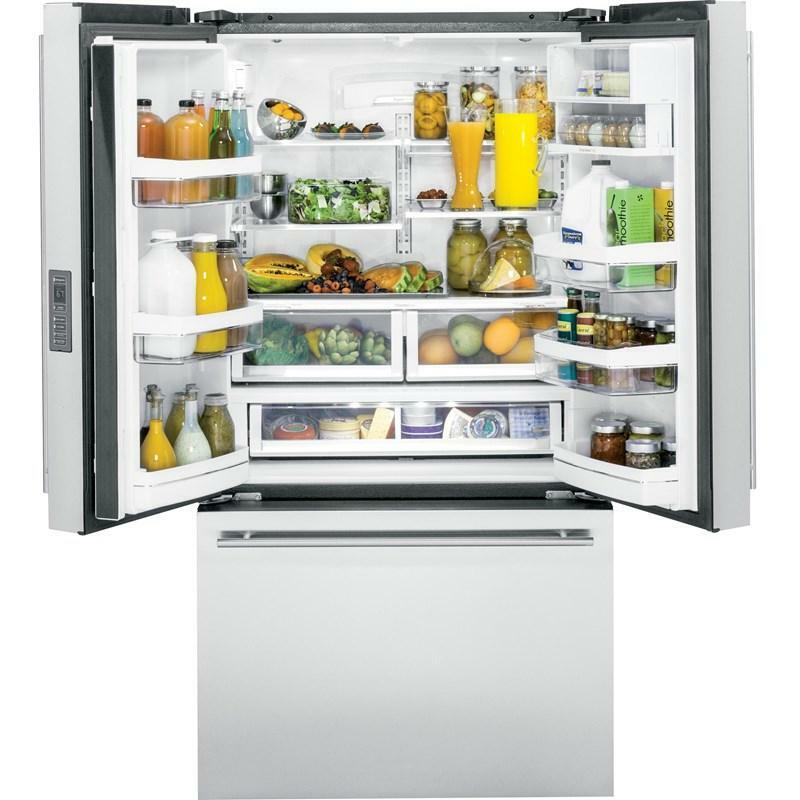 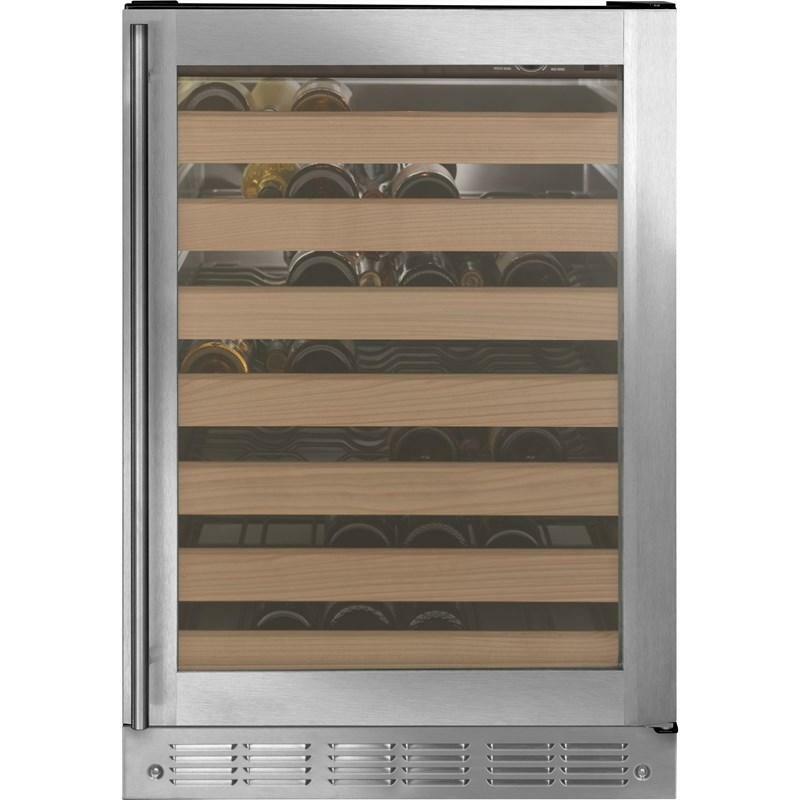 This refrigerator features FrostGuard technology and an advanced filtration system. 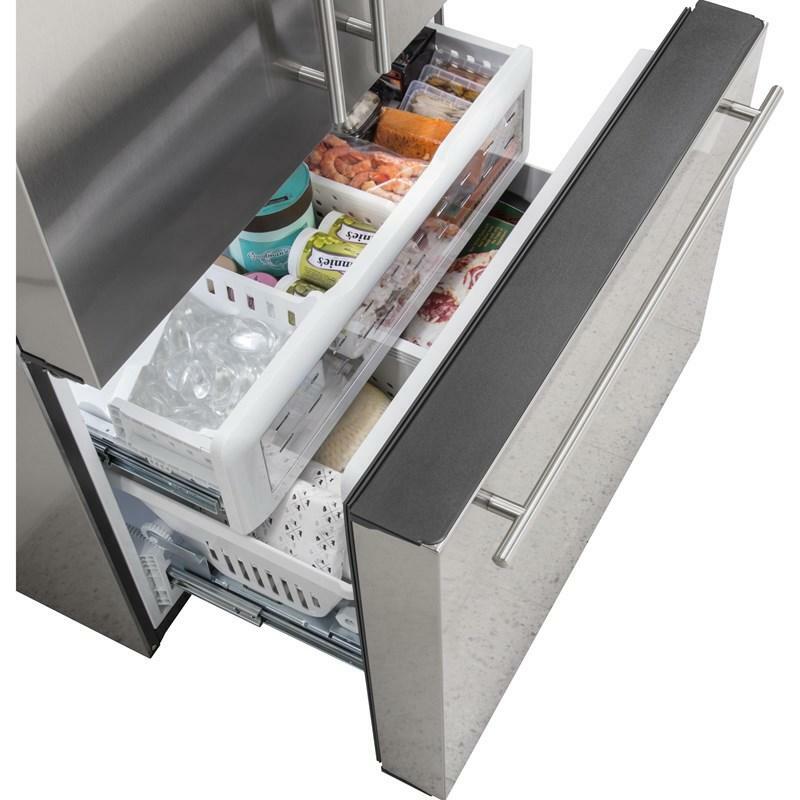 Slides out of the way to make room for tall items. 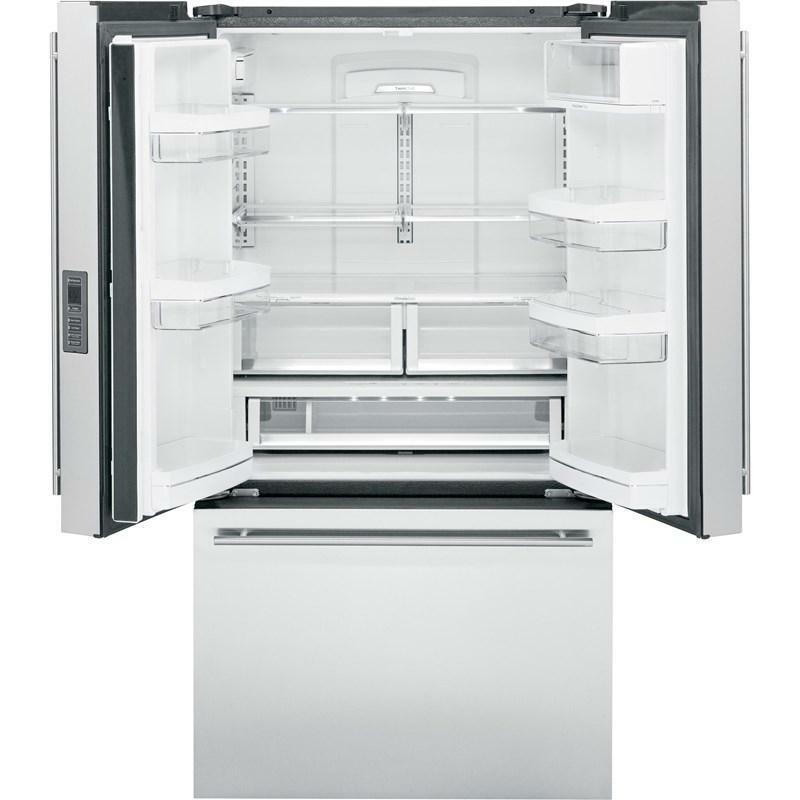 • Width with door open 90 degrees incl. 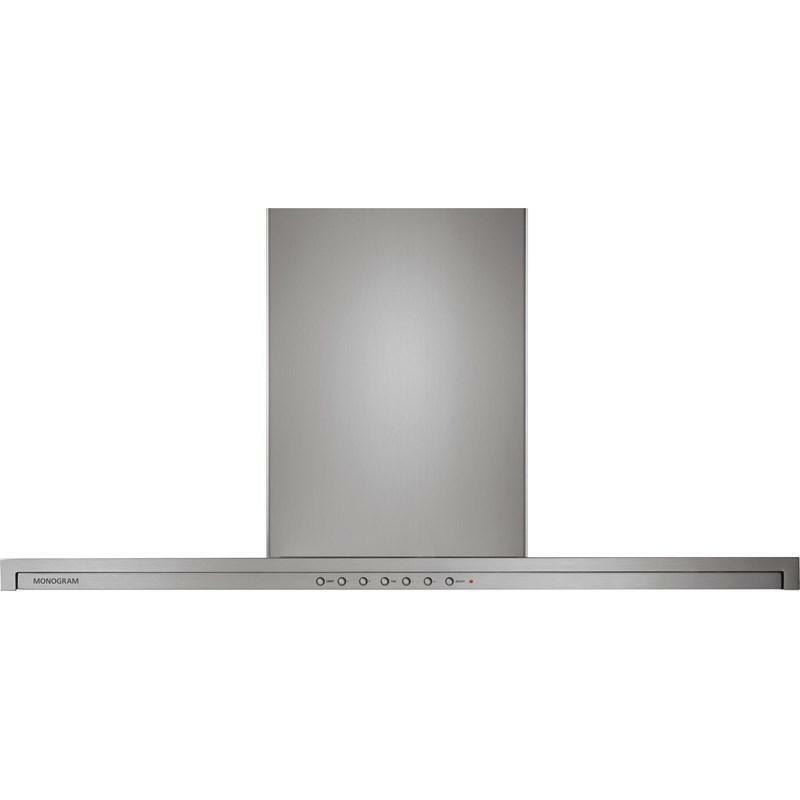 handle: 113.35 cm.